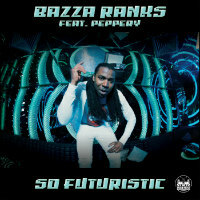 Dirty Dubster Bazza Ranks enlists Peppery’s able toasting skills for the new single and they’re both so moneysupermar…oohh – my bad – So Futuristic. 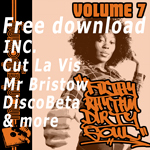 What starts out as a dancehall riddim winds up at junglist speed after the bridge as the pair accelerate towards the bashment system and it only remains to sort out a video. A video for a track entitled So Futuristic? Concept-wise it’s an open goal. Cue Peppery occupying what looks like the VIP seating area in Dublin’s top lap-dancing club minus the girls, the drinks and half-cut punters. Or any punters at all come to that. It seems so unlikely, maybe it is the future – and at least it’s not that quarry that used to stand-in for every alien planet surface ever in Blake’s 7.